This life science title describes the sequence of events of a family of ducks on their trip to the pond. 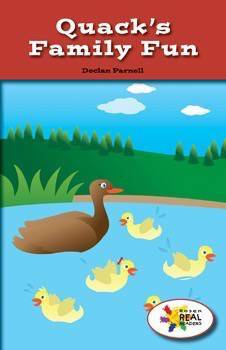 Colorful illustrations and explanatory text will teach readers that ducks like to swim as well as what helps them do so. This fiction title is paired with the nonfiction title A Family of Ducks.